Django image is secure, up-to-date, and pre-configured to work out of the box. 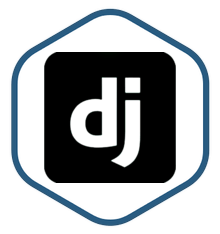 Django is a high-level Python web framework that encourages rapid development and clean, pragmatic design. Python is a dynamic, object-oriented programming language used for many kinds of software. Django is an open source web framework written in Python that enables developers to rapidly build and scale high performance web applications. It emphasizes reusability and pluggability of components, rapid development, and the principle of "don't repeat yourself." The Bitnami Django stack has everything you need to get started building a web app, including Django, Python, SQLite, MySQL, Apache, PostgreSQL and more. Using a pre-configured Django environment gets you up and running quickly because everything just works out of the box. Manually deploying and configuring an environment can be a difficult and time-consuming hurdle to developing an application. Bitnami has done this work for you, so you can avoid installing and configuring multiple components and libraries and instead focus on writing awesome code. Open source web framework written in Python that enables developers to rapidly build fast, scalable, database-driven websites and applications. Included in the stack are Django, Python, PostgreSQL, SQLite, Apache web server, and more. Regularly updated with the latest stable release of every component.